Covered from head to foot with glorious tattoos, Marigold is the brightest, most beautiful mother in the world. Dolphin would do anything for her. She just wishes her beautiful mum wouldn’t stay out partying all night, or forget to buy food and pay the bills, or go weird now and then. Dolphin’s big sister Star isn’t so sure anymore. She loves Marigold too, but sometimes she just can’t help wishing things were more normal. And when Mum starts to fall apart, what should Dolphin do? Is her illustrated mum still in the picture? A touching and heartbreaking tale of family troubles, shortlisted for the Carnegie Medal. 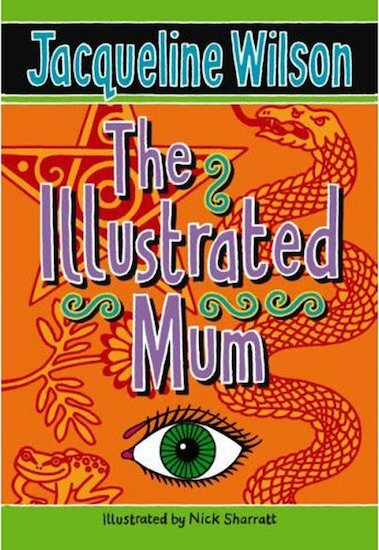 The way Jacqueline Wilson has written this book is amazing! It is such a touching read! This book is really wierd but i still liked it. Dolphin would do anything for her mum but she just wishes she could look after her and her sister,Star more or at least HERSELF! None of them are sure they could keep this up anymore and Marigold is falling apart! This book is great for people who believe in happy endings. This book has lots of ups and downs. A good book, probably for older readers. Another good read from jacky!! Although I may have read this a while ago, it was still an amazing story. Dolphin’s mum is covered in tattoos, but she slowly begins to fall apart, but can dolphin and her sister build Marigold back up? a faboulas book about a mad mom who has 2 daughters star and dolphin, they are very poor but wil lthey be able to survive? i am a big fan of Jaqueline Wilson. I love all her books;however, this book was actually quite touching a down to earth, its about 2 sisters living a life of looking after their crazy mum. her mum acts like a 16 year old, full of tatoos and peircings and a 100000 crazy boyfreinds…. i recommend this to girls from 10+. for girls who like to read about real life touching stories. Sad at times, but it gets better. It’s like a real-life situation, and shows you how Dolphin really feels. I’m glad she has Olly as a friend. Loved this book but found it very sad. It made me think of a friend of mine whose family was very similar to this one. Brilliant story by a brilliant author. This book is amazing! 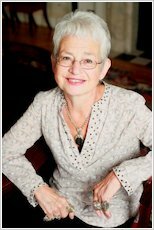 I love the author Jacqueline Wilson! She writes great books! I love the way the book ends!